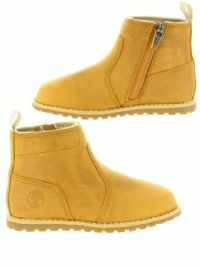 Description: Youth's Timberland Brown 6 Inch Boots. Please note that some pairs might be B grade, and as such may have some minor imperfections. 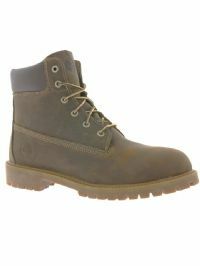 However this has been deemed sellable by Timberland and comes in it's Original Box. 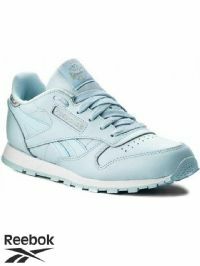 Description: Kid's White / Blue Reebok Classic Leather Reflect Trainers. Description: Kid's Adidas Originals Blue / Navy Camoflauge combination ZX Flux Trainers. Description: Infant’s Adidas Originals ‘ZX Flux’ trainer. Features an Adidas Originals Trefoil logo on the front tongue, as well as three stripes down each side. Also includes a front lace fastening and mesh exterior. Please note this particular product comes in plain white boxes (B grade) and as such may have some minor imperfections. However this has been deemed sellable by Adidas. 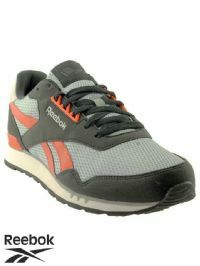 Description: Junior Reebok Royal Sprint Trainers in a Grey / Black / Red colour combination. Description: Junior Reebok Classic Leather BXR Born X Raised Trainers in a Navy / Mustard Yellow colour combination. Description: Junior Reebok Classic Leather Pastel Blue Trainers. Description: Kid's White Adidas Originals Gazelle with Hot Foil style Gazelle print. Please note this particular product comes in plain white boxes (B grade) and as such may have some minor imperfections. However this has been deemed sellable by Adidas. Description: Kid's Adidas Originals Superstar Metallic Trainers. Please note this particular product comes in plain white boxes (B grade) and as such may have some minor imperfections. However this has been deemed sellable by Adidas. Description: Junior Reebok Classic ‘Club C’ trainer. Features a Reebok Classic logo on the front tongue and outer side. Also includes a front lace fastening and leather exterior. Description: Junior Adidas ‘Supernova Glide’ trainer. Features an Adidas logo on the front tongue, as well as three stripes down each side. Also includes a front lace fastening and a mesh exterior and a Boost sole. 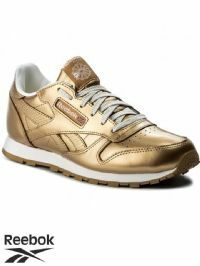 Description: Junior Reebok Classic Leather Gold style Metallic Trainers. Description: Junior Adidas ‘Campus’ trainer. Features an Adidas logo on the front tongue and back heel. Also has a full suede exterior with the classic three-stripe design on the sides. Description: Junior Reebok 'Royal Sprint' trainers. Features the Reebok logo on the front tongue and back heel. Also has a Royal Foam sole foot bed for extra comfort. Description: Junior Nike ‘Roshe Run’ trainer. Features a Nike Swoosh logo on the front tongue and down each side. Also includes a front lace fastening and a mesh exterior. Description: Junior Adidas ‘X 15.4 FxG’ football boots. Features an Adidas logo on the back heel, as well as a front lace fastening. Description: Junior Asics 'Pre Ikaia 5 PS' Trainers. Features the Asics logo on the front tongue, as well as having the Asics design on the sides. 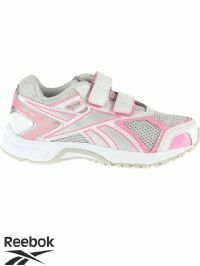 Description: Women's Reebok Pheehan Run 3.0 2V Trainers in a Pink / White colour combination. Also features Velcro fastening. Description: Junior Reebok ‘Almotio’ trainer. Features the Reebok logo on the front tongue, back heel and sides. Also includes a front velcro strap fastening and a leather and mesh exterior. 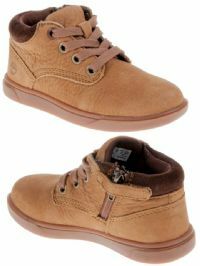 Description: Junior Supra ‘Thunder Low’ trainer. 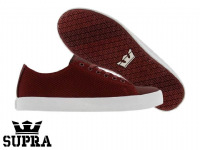 Features a Supra logo on the front tongue and back heel. Also includes a front lace fastening and leather/mesh exterior. Description: Junior Supra ‘Sky Low’ trainer. Features a Supra logo on the front tongue and back heel. 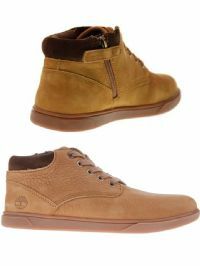 Also includes a front lace fastening and a suede exterior. 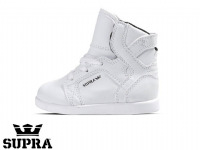 Description: Infants Supra ‘SkyTop’ trainer. 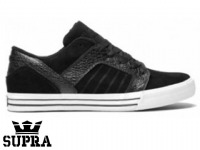 Features a Supra logo on the outer side and back heel. Also includes a front lace fastening and leather exterior.